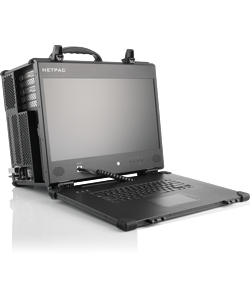 From rackmount displays to Mil-Spec computers, we provide portable systems of all types. We pride ourselves in creating high-performance, unique computers that are customized specifically for your needs. If you would simply like a quick view of all our products, click the button below. Portable computers combine the power, configurability, and connectivity of a desktop with the convenience and portability of a laptop. It is a powerful system that combines the best of both worlds – a solution that you can deploy at any location. 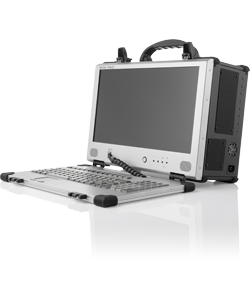 As a result, our military portable computers are integrated with Mil-Spec standards to allow for harsh and mobile applications. Our rackmount display units are used in servers, on planes, in air turbines, and more. From rack mounted KVM consoles to triple display units, we can provide you with the perfect solution. Our consoles are convenient, compact options for servers. For example, our RMDDU provides the highest resolution of any rack mounted display system with dual 23" displays in a 2U rack mount package. For more information on our rugged displays, please click below.